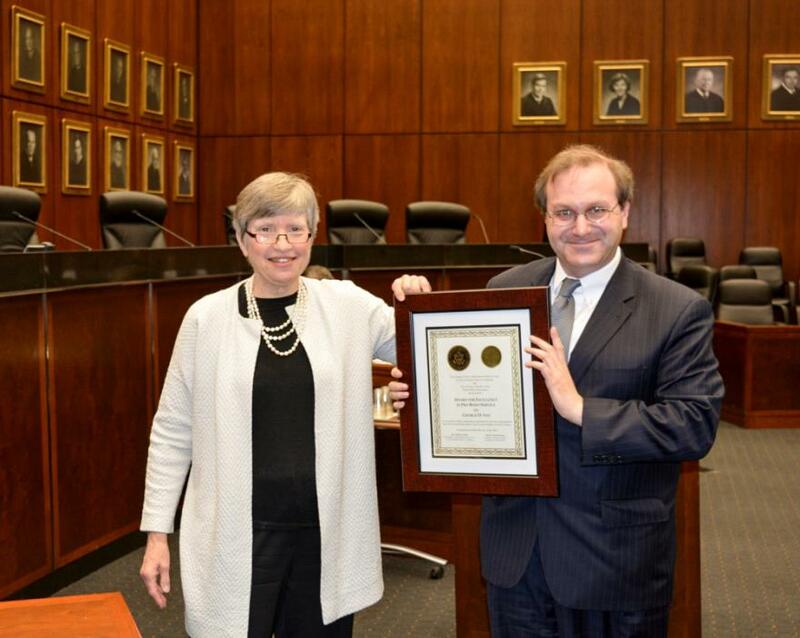 Congratulations to George D. Sax for receiving an Excellence in Pro Bono Service award from the United States District Court for the Northern District of Illinois and Federal Bar Association. The Award was presented on May 24, 2017 at the District Court’s Eighteenth Annual Awards for Excellence in Pro Bono and Public Interest Service. The Award honors attorneys for their contributions toward helping those most in need of assistance in the U.S. District Court for the Northern District of Illinois, including by representation as a Court-appointed attorney. The Award ceremony was sponsored jointly by the U.S. District Court for the Northern District of Illinois and the Chicago Chapter of the Federal Bar Association, and featured a keynote speech from Hon. Michael J. Newman, the National President of the Federal Bar Association, and remarks from Chief Judge Rubén Castillo, U.S. District Court for the Northern District of Illinois, and Sheri H. Mecklenburg, President of the Chicago Chapter of the Federal Bar Association.